Analysis and debate about economic and political justice rarely involves research on the views of the common person. Scholars often make assumptions about what common people think is fair, but for the most part they confine their thinking to a single country and argue on rational or moral grounds, with little supporting empirical data. Social Justice and Political Change, involves the collaboration of thirty social scientists in twelve countries, and represents broad-ranging comparative research. The book grows out of a collaborative study of public opinion about social justice. 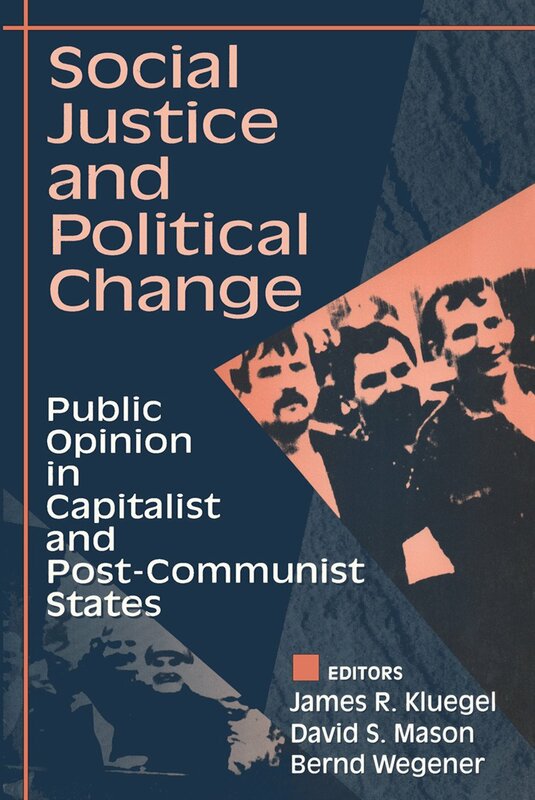 Though conceived prior to the revolutions that swept Central and Eastern Europe in 1989, the ISJP did not put its survey into the field until the summer of 1991, in a new climate of open international exchange in social research. Employing common methods of data collection and, within the limits of translation, identical survey instruments, the ISJP investigated public opinion in seven newly emerging post-Communist countries and five of the worldi?1/2s most influential capitalist democracies, with special sensitivity to divergencies in the newly united Germany. Among the themes addressed by the volumei?1/2s distinguished contributors are the views and beliefs of citizens in the post-Communist states on the transition to market economies and parliamentary democracy; the role of ideology in legitimating inequality; the structural determination of beliefs about justice; the processes that shape individual level evaluations; and the major implications of public opinion and mass participation in the democratic process.